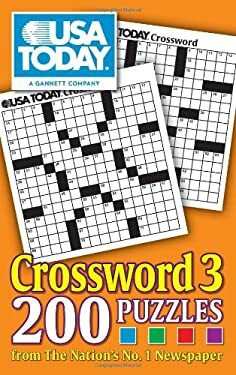 "USA TODAY Crossword 3" is a brand-new collection of 200 crosswords for puzzle-smiths of all skill levels. Crossword is a classic puzzle that continues to be one of the most popular puzzle types. Keep your mind sharp with this assortment from the nation's No. 1 newspaper and gaming authority, USA TODAY.